I read “Cycling the Squirt” (Cycling the Squirt) and consider it a good article highlighting an effective product. However, I was a bit surprised that in addition to triggering the Auto Timer by means of a manual switch or a boost pressure switch (as was noted in the article), using it or recommending its use with the Intelligent Intercooler Water Spray (Intelligent Intercooler Water Spray - Part 1) module was not noted. You’re right - an extremely effective result could be achieved by combining the Intelligent Intercooler Water Spray and the Auto Timer kit (to cycle water spray operation). However, in the context of the article, the Auto Timer was being used as part of a low(er) cost alternative to the Intelligent Intercooler Water Spray. Re the Response letter (Response) from Alice de Vos about donut LPG tanks... Would you mind passing on my email address? I've just bought a donut tank and will be fitting it into my Range Rover very shortly. I'd be happy to pass on some pix to her once it is done. I'm the proud owner for a 2003 Subaru WRX. While I'm aware that it is no Evo beater or supercar, it is a pretty quick car and lots of fun for the money. Having driven a mate’s R32 Skyline GT-R, my annoyance with the WRX is its front-wheel-drive bias. The driveline seems backwards compared to the Skyline - the WRX having an emphasis on front drive, while the Skyline is essentially rear drive with front wheel assist. After reading many reviews of the Impreza STi I can see the benefits of installing a controllable torque split – although, I believe my daily preference would be as far rearward as possible! Has anyone ever transplanted a STi centre diff (and torque split control) into a WRX? Is there any way to do this as an alternative to buying a new STi? Your article on ram-air intakes (Ram-Air Revelations) talks in inches of water. To put it in numbers that are useful to the rest of us, the Kawasaki ZX-12R motorcycle is fitted with ram-air. Without it, Kawasaki says the engine produces 178ps (131kW). 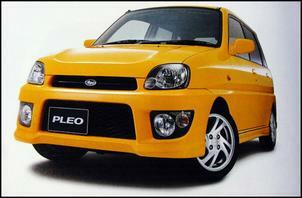 With it, the engine makes 190ps (140kW) - an increase of about 6.75 percent. Note that this increase is stated to be a "maximum" - presumably meaning at the bike's maximum speed of about 300 km/h. So again, presumably, a reasonably well-engineered ram-air system would be worth about a 2.25 percent power increase at 100 km/h. Other motorcycle manufacturers that have fitted ram-air have quoted power increases of a similar order - up to about 10 percent maximum. Interesting stuff. Harder to quantify is the improved throttle response and, we imagine, slightly improved fuel economy. Can you guys point me in the right direction to find a bell housing to adapt a small block Chrysler 360ci to a ‘steel case’ 4-speed Toyota Celica gearbox? And how strong are the 4 speed Toyota boxes? Can I get any internal upgrades for them? Dellow Automotive (+618 29774 4419) should be able to provide you with the answers you need. Hey guys. I've read your 2004 Engine Epic - Subaru Engines article (2004 Engine Epic - Subaru Engines) 1000 times wishing I could get my hands on a Subaru EN07. Do you have any suggestions of where I could get one? In your Supa Charging Sigma article (Supa Charging Sigma) it says that you can buy a brand new 3.8 Buick supercharged engine for new for only $3750 - according to Joe. I was wondering if you know where this could be purchased? 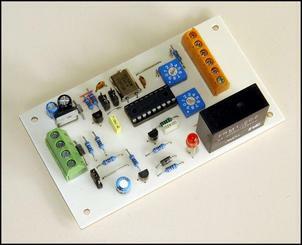 Can you tell me if a 10 LED air/fuel mixture meter kit is suitable for use with carb'd engines? I have a 4-barrel Carter on a Chevy 350 that I need to calibrate cheaply. I have a one wire O2 sensor installed in the exhaust collector already. Can I use the kit to measure idle, part throttle, WOT conditions so that I might adjust the carb for the suitable mix? Yes, the air-fuel ratio meter can be used on an engine using a carby – so long as it runs unleaded fuel. Note that these meters should be used as a tuning guide only. A wide-band temperature-compensated oxygen sensor is necessary for accurate AFR tuning. More on Aftermarket Traction Control? It's been 4 years since that article and I was wondering if you know of any other companies that have a complete stability and traction control system - ala GM or Mercedes? 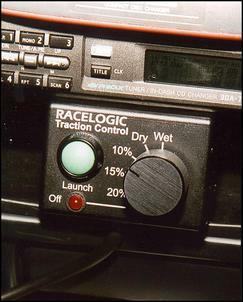 The Racelogic system we covered reduces engine power by cutting fuel or spark – not by closing the throttle. Traction control is now available on several aftermarket management systems and MoTeC has electronic throttle control available on their latest system - but it cannot yet be interfaced with traction control. We do not know of any aftermarket suppliers of stability control systems. Could you please point me in the right direction of someone who could help with my Daihatsu engine hardware – camshaft especially? I was hoping you could steer me to a 1998 article in AutoSpeed on the testing of ULX-110 oil. I read your article on Uniglide (Testing Uniglide) and can see you guys tell it how it is! I am currently using Castrol R 0-40W oil and was curious if there is any truth in ULX-110 claims? Our article testing ULX-110 was withdrawn quite some time ago. We suggest, as always, that you ask if the supplier will provide a money-back guarantee. 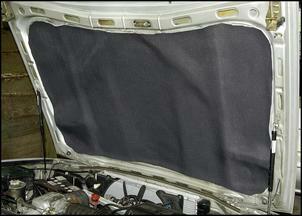 I am wondering if you have run any articles on sound-proofing a car? I did a search on your website but didn't find anything. If you haven't done an article on such a topic, it might be a good idea to do so - not only for road noise but for sound systems as well. For instance, I have speakers in my doors (not a factory position) and want to maximise sound quality - but the reverberation inside the door doesn't help. We have done an article on installing sound insulation (see Fitting Sound Insulation), but it is a topic we plan to explore further in future articles. I was reading your article on the vacuum activated exhaust valve (Butterfly Effect) and was wondering if I could get some additional info on it? I would especially like some information on its dimensions. 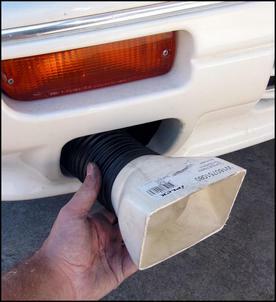 I’m looking to employ a 4 inch valve about 3 feet or 1 metre away from the turbo on my car. Would this be too close to the turbo as far as heat is concerned? I have a full exhaust on my car now and want to make a separate split design for "race mode". My plan is to run a separate exhaust but integrated to the existing system. The dimensions of the valve are critical.